Composer Yehudi Wyner, at his Medford home in 2009. 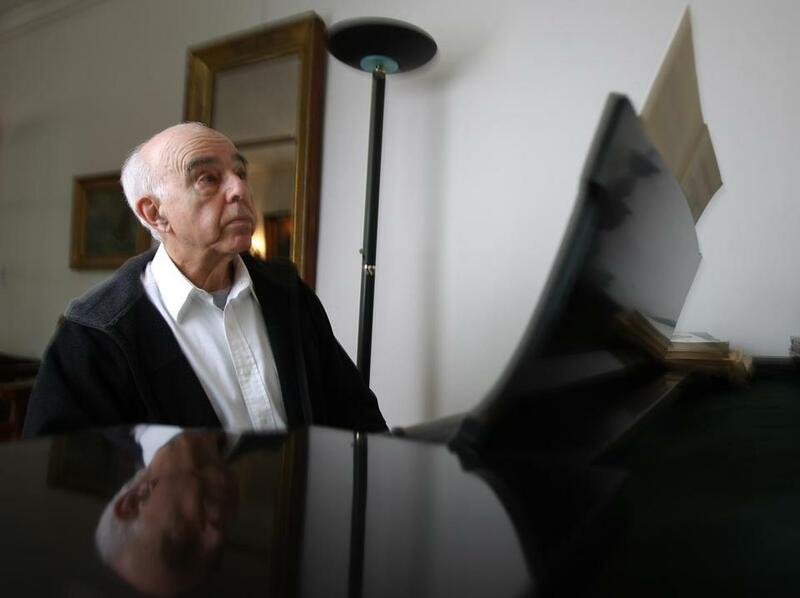 Yehudi Wyner can no longer recall a few details related to the composition of “Torah Service With Instruments,” a piece that the Cantata Singers are reviving May 12. He doesn’t remember the name of the individual who commissioned it, only that he was a clarinetist from New Haven who wanted a piece for his son’s bar mitzvah. Or how the instrumentation — four brass instruments, double bass, and chorus — was chosen. Or how the commissioner reacted when the work was premiered in May 1966. It was, after all, more than a half-century ago. But he’s crystal clear about what he was trying to accomplish with “Torah Service” and with “Friday Evening Service,” written three years earlier. In the years leading up to the writing of both pieces, Wyner had been the organist and music director of a couple of Reform synagogues in Westchester County, N.Y., and he’d found himself “repelled by the kind of music I had to perform,” he said recently by phone. The music was a descendant of the post-Mendelssohn Protestant musical tradition. “It had no passion behind it,” he said. “The prayers themselves are a result of desperate expression,” he said. “I say desperate because, if you imagine life two or three thousand years ago in an essentially arid country, no protection from disease or natural phenomena, the elements, not to speak of enemies. . . . What else do you do but shout your lungs out and hope for the best? Originally, Wyner wanted both services to be performed primarily in synagogues, so they could be heard and experienced as part of the rituals of Jewish worship. (One way in which the Cantata Singers are honoring Wyner’s intention is by incorporating readings of the relevant prayers between the movements of the piece.) But their liturgical use never caught on in a widespread way, he noted. That may not be true; scholars generally concur that Jesus primarily spoke Aramaic. But the line apparently worked.